I am so thankful to have you all reading along with our playful adventures here on NurtureStore, and I wanted to share a little gratitude with you… so I’ve made a Thanksgiving coloring page printable. I try and weave a sense of gratitude into our every day lives, and my girls and I often talk about what we are grateful for – often as part of our bedtime routine, when we talk about what we have done that day. At Thanksgiving though, there is an opportunity for the whole family to really focus on giving thanks. This Thanksgiving coloring page is a simple little design, but I hope you like it. 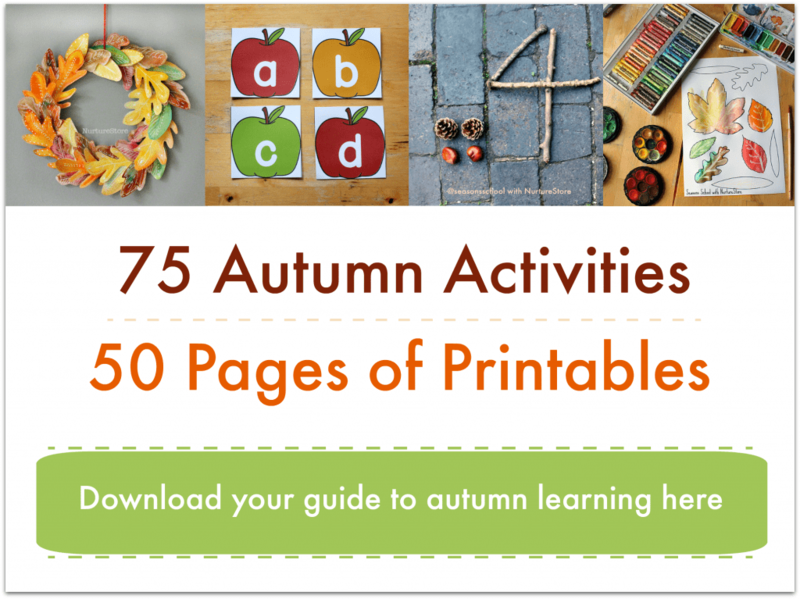 You can use the printable as a coloring page, as a discussion topic, or as part of a lesson. I also think the coloring page works really well as a place mat on the Thanksgiving table. Print it out on card rather than paper, and set it our alongside a pot of colored pencils. 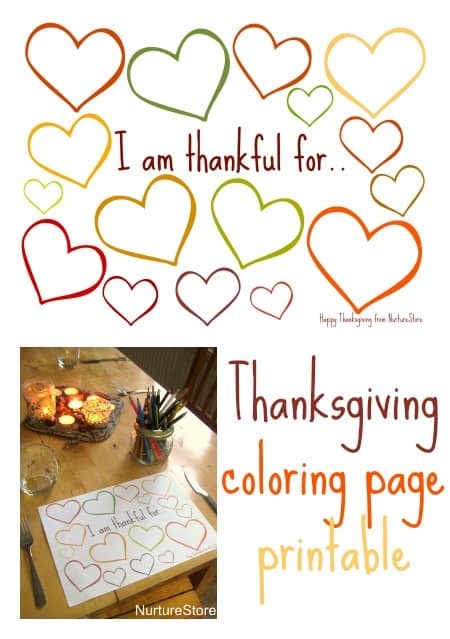 The children can color, draw or doodle what they are thankful for in each heart, while they wait for dinner to be served. I would like to have the craft book but I do not have money for it, would I be able to get free craft info to make the different stuff? P.S. I would need the craft stuff for the older kids. I have a 16 year old that would love to do the stuff you have on your page and I have a 15 year old that loves playing with playdough so this would be nice for me to do crafts with my kids. Hi Joy. You can find all sorts of art and craft ideas on this site. If you use the menu up at the top and click on ‘Art and Craft’ you’ll find them all there. And you can find play dough under ‘Sensory’. 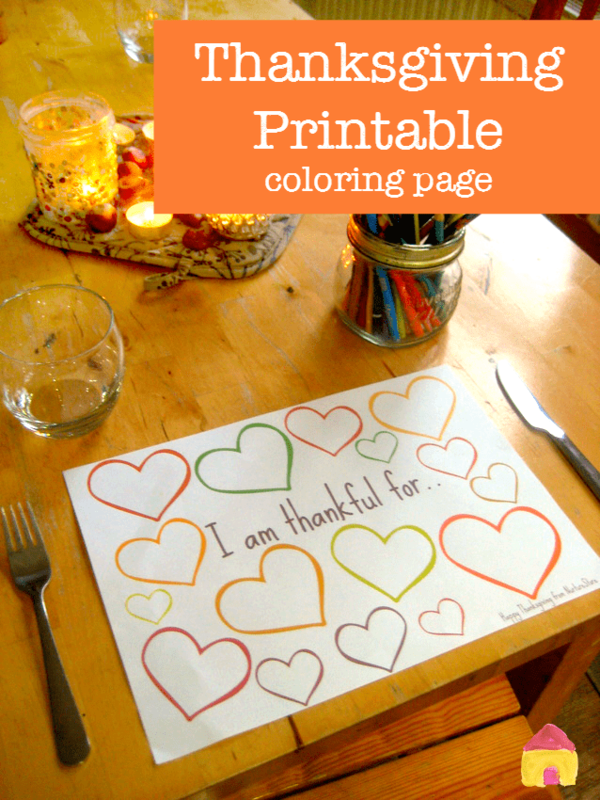 I am particularly interested in the thanksgiving hearts free printable. I have signed up, but there just doesn’t seem to be any way to actually access the printable to download. Is there a way to sign in to the website to get access to it? Hi Nicola. Have you confirmed your subscription? You need to open the welcome email and confirm – then you will be directed to the Library where you will find this printable, along with many others. If you have already done this, pop your email address in the box above to ‘sign-in’ and you will be directed to the Library.